1930, Paris, the film The Golden Age is a scandal and Luis Buñuel, who thought he was destined to be the star of surrealism, is left with nothing. He is offered a documentary project on one of the poorest places in Spain, Las Hurdes, but he has no money. His friend the sculptor Ramón Acín buys a lottery ticket while jokingly promising to finance the film with it. He wins and keeps his promise. The harshness of Las Hurdes and the extreme misery of its people affect Buñuel deeply. Reality, dreams, memories of his childhood and of Salvador Dalí intermingle in his mind, endangering the production and his friendship with Ramón. From there will emerge the Buñuel of the future. But what is left on the way? How much does that step cost? THE GLOW ANIMATION STUDIO is an animation studio created by Manuel Cristóbal, Salvador Simó and José Mª Fdez. de Vega. We develop and produce animation and visual effects in projects of our own creation or in co-production. We like to work on independent projects, with a different, innovative vision of the world of entertainment and an international vocation. 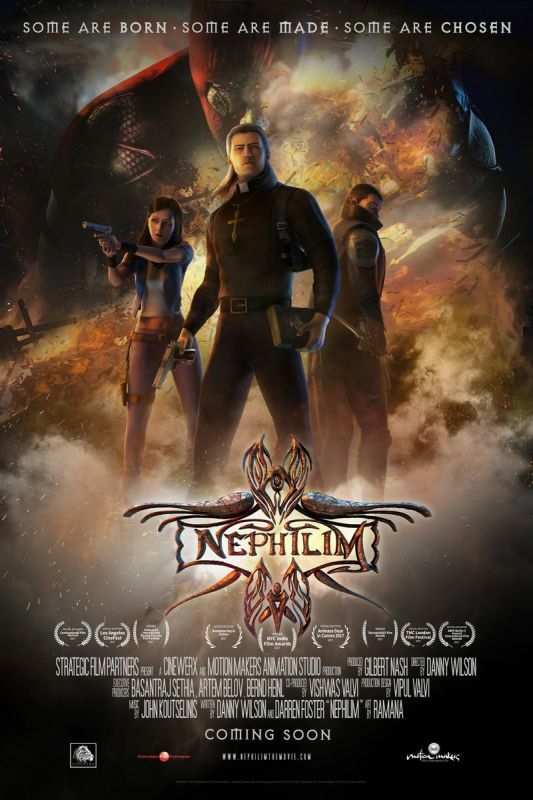 NEPHILIM is a supernatural, action-thriller following an atypical young priest, Father Markus, into a mystical world of blended realities, as he takes on the hero’s mission after being thrown into the core of confrontation between good and evil.